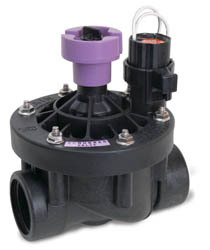 Rain Bird 150PESB-R 1 1/2" (40/49) Plastic Commercial Valve w/Flow Control and Scrubber and Reclaimed Water For Dirty Water Irrigation Systems. Industrial-strength glass-filled nylon globe valve with self-cleaning scrubber and stainless steel screen for reliable performance in dirty water irrigation applications. The PESB series incorporates patented scrubber technology. Durable glass-filled nylon construction for long life and reliable performance. 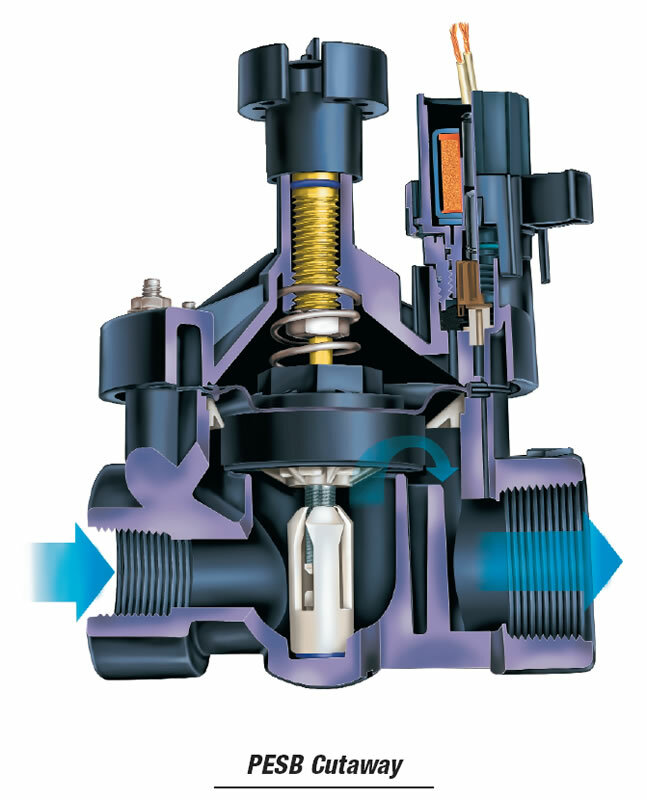 Manual internal bleed operates the valve without allowing water into the valve box; allows pressure regulator to be adjusted without turning the valve on at the controller first. Low flow operating capability for a wide range of applications. Nylon scrubber scrapes a stainless steel screen to clean and break down grit and plant material. Prevents debris build-up and clogging. 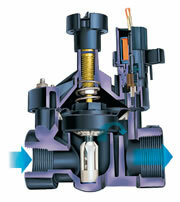 Accommodates field installed PRS-D pressure regulating module to ensure optimum sprinkler performance. 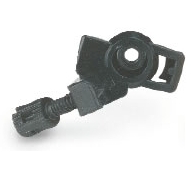 Accepts latching solenoid for use with Rain Bird battery-operated controllers up to 150 psi (10,3 bar). Note: The PRS-D option adds 2" (5,1cm) to the valve height. 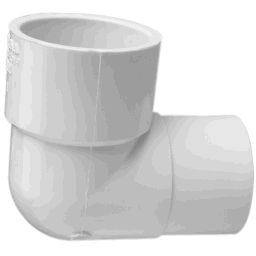 For flows below 5 GPM (1,14 m3/h; 0,32 l/s), Rain Bird recommends use of upstream filtration to prevent debris from collecting below the diaphragm.